Joe DiMaggio’s 56-game hitting streak in 1941 was baseball’s last magical moment before the United States entered World War II following the attack on Pearl Harbor . Playing for Their Nation is the first book that I have seen that looks at all aspects of the impact that the war years had on baseball as well as the impact that baseball had on the American military. The sacrifices made by baseball’s elite as well as the lesser-known utility players are presented – we’ve all wondered about how many home runs Ted Williams might have hit in his career or how man victories Bob Feller could have chalked up had it not been for their military service. But this book also covers the impact that baseball and their high-profile inductees had on morale, the sale of war bonds, and much more. 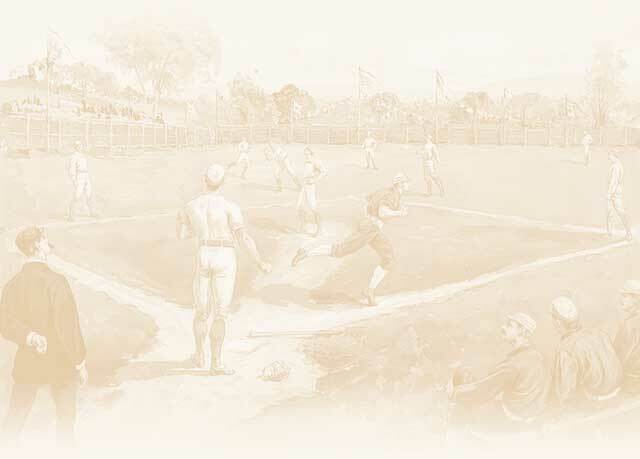 By the end of the war, more than ninety percent of the players on prewar Major League rosters served in the armed forces, and author Bullock relates the wartime experiences of the players, such as Joe DiMaggio and Ted Williams. Proving itself to be much more than a game, baseball offered comfort and pride to a military, and a nation, gripped by war. A great read!